@SimonPetrikov, because nothings going to happen. @Dabac0nat3r, You do realize that the government didn’t implement anything that affects profits of ISPs, right? 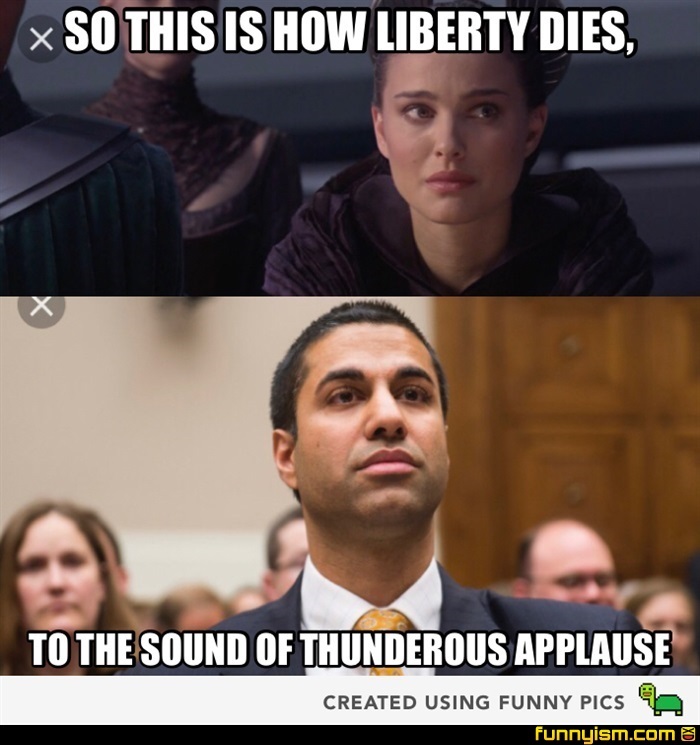 They whined that they couldn’t charge us more for no extra work or services, so they paid off a lot of Congressmen and women and 3 FCC chairs. @Kalam1ty, just cleaning house on Obama era bogus garbage. @Mit, What, are you stupid? Net Neutrality protects us. So, did they drain the swamp into a sewage treatment plant or something?